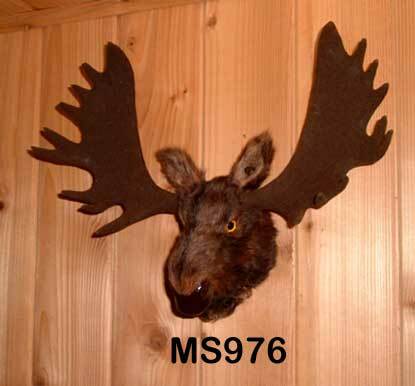 Realistic Bull Moosehead wall mount taxidermy replicas. 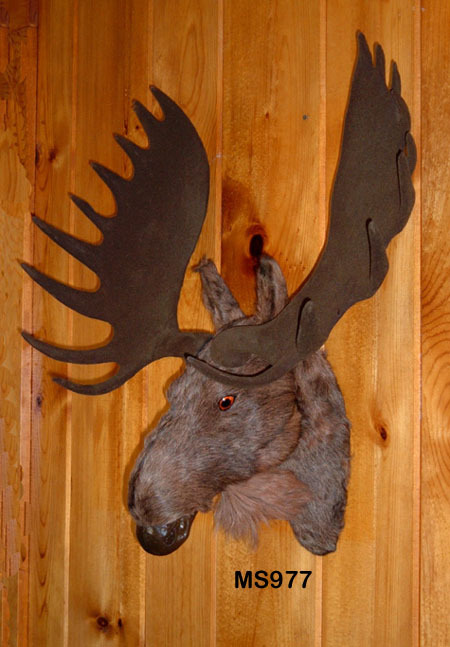 Check out this realistic Bull Moose wall mount taxidermy replica handmade from goat fur over a molded form. This collectible Moosehead makes a very unique gift idea for any outdoorsman or for a casual sportsman. 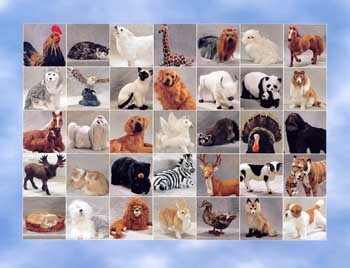 It will look great in your office, den or cabin! 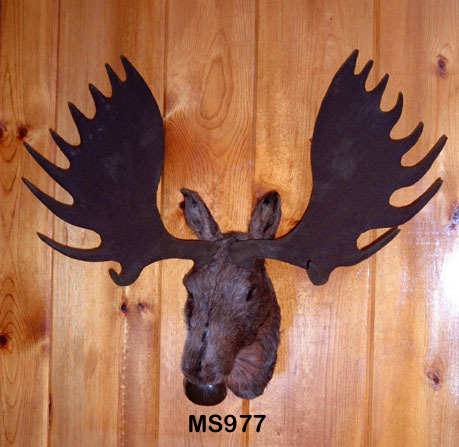 The Moosehead comes in two sizes and two Deerhead Wall Mount Replica's are also available. 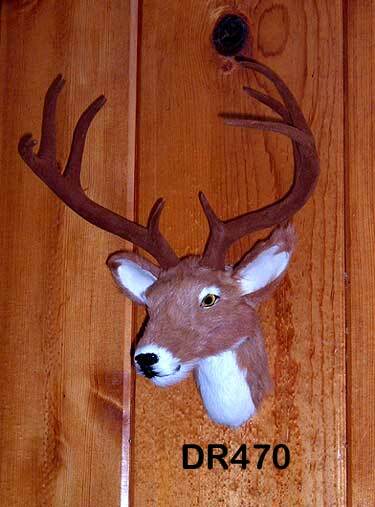 These realistic Moose Head Wall Mounts are incredibly lifelike, and better than the real thing because no actual moose was killed or harmed to create this mount! 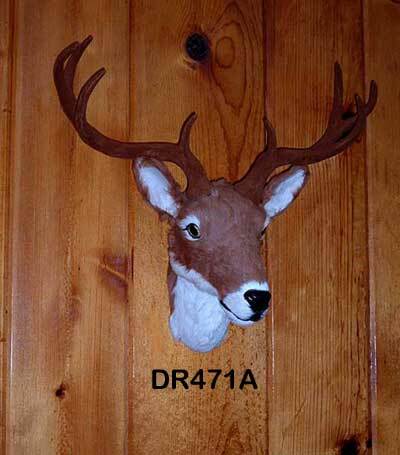 The rack measures 28� across, and the mount measures 25� from the top of the antlers to the base of the nose. The antlers are easily removable for shipping and storage, and it comes complete with a well-hidden eyelet for easy hanging on any wall!